Thomas M. Perry, "Tom" died July 4, 2014. Tom, 47, was born in Putnam, Connecticut to Joan (Guertin) and the late William A Perry. He graduated from Killingly high school in 1985. Tom drove truck for several long-haul and local trucking companies. Tom is survived by his wife of seven years Deborah, mother Joan, daughter Melissa, grandson Joseph, sister Tina, niece Ashlee, great nephew Matthew, niece Felicia and great niece Lilli. He was Master of Quinebaug Pomona Grange #2 and Master of Senexet Grange #40 in Woodstock. 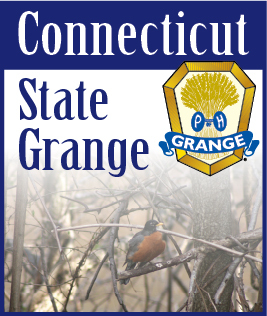 Also he was a member of CT State Grange and National Grange. A Celebration of Life will be held at the Senexet Grange Hall, 628 Route 169 in Woodstock on July 13, 2014 at 2:00 PM (please come in casual dress.) In lieu of flowers donations may be made in Tom's memory to Senexet Grange Memorial Fund, c/o Marvin Wilbur, Treasurer, 12 Wittemore Ave., N. Grosvenordale, CT 06255. Arrangements by Smith and Walker Funeral Home. To share a memory with his family, "Light a Candle" at www.smithandwalkerfh.com.